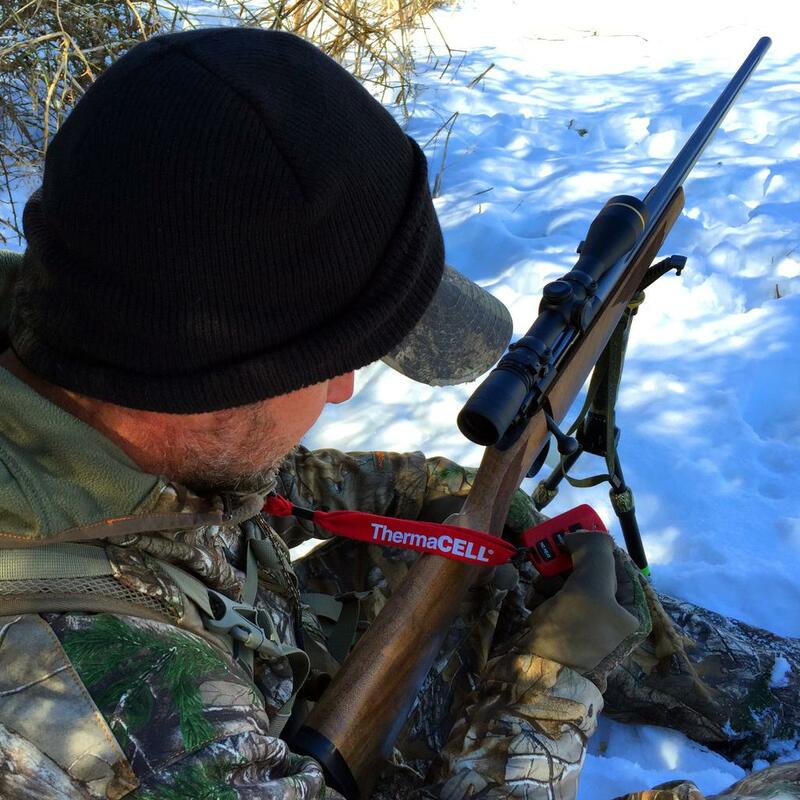 ThermaCELL’s electronically heated insoles aren’t perfect, but they are the best cure for my biggest late-season deer hunting problem: cold feet. When temperatures drop into the teens, toes can start to burn with the cold unless wearing heavy felt-lined boots. If hiking to a stand or do some still-hunting, however, pac boots make feet sweat, which guarantees toes will be cold when standing still. 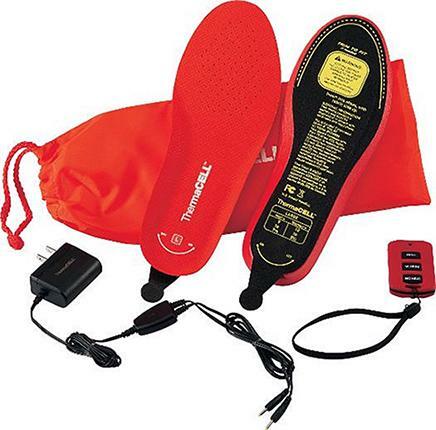 The best thing about ThermaCELL’s heated insoles is the fob-like remote and built-in control board and battery. 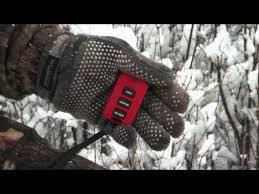 Unlike chemical toe warmers, which start out hot and gradually cool down, these let you wirelessly select “No Heat” when you don’t need any supplemental warmth, then either “Medium” (100 degrees F) or “High” (110 degrees F) heat when you do, all without clumsy external batteries or switches. That allows for wearing a favorite pair of lightweight, moderately insulated knee-high rubber boots when on the go, with the assurance that the heat can be vamped up if on a stand or stop for whatever reason. And even if wearing heavier boots, the control board acts like a thermostat and temporarily shuts off power to the heating element when it reaches the selected temperature. It’s genius—though not without a few flaws. For starters, the molded, cushioned insoles are much thicker than the insoles that come standard with most boots and can only use them with light socks in boots that are large to begin with. Otherwise the fit is way too snug. They could also be a little warmer, and the battery life is disappointing. The lithium-ion unit built into the heel of each insole recharges quickly, but it does not come close to the advertised five-hour run time at medium heat. But the biggest complaint is with the remote. It doesn’t confirm what setting the insole is at. Sometimes it’s off when it should be on and on when it should be off. A positive on-off switch, or even better a setting and battery level indicator, would be a huge improvement. So for now we’ll have to wait for the perfect cure. Until then, these are still pretty darn good, and a second pair would be convenient so they can be swap out on all-day hunts.